The hardy tree ferns - Cyathea and Dicksonia species, are highly ornamental garden plants and among the most impressive of all fern species. Native to eastern Australia, New Zealand, Norfolk Island and Tasmania they include some of this region's most abundant trees. All shop bought stock in Europe is sourced from old growth forests, and larger specimens of which can be hundreds of years old. 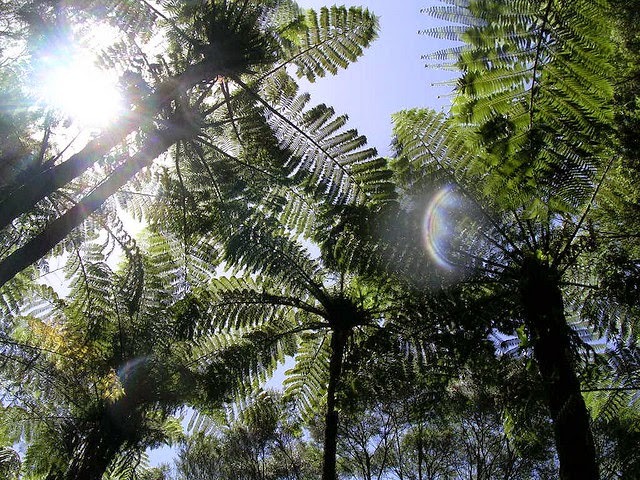 Australian logging practices allow the tree ferns to be removed before the heavy machinery moves in which would otherwise damage and destroy the existing plants. However this practice has been criticized by environmental groups for several decades. 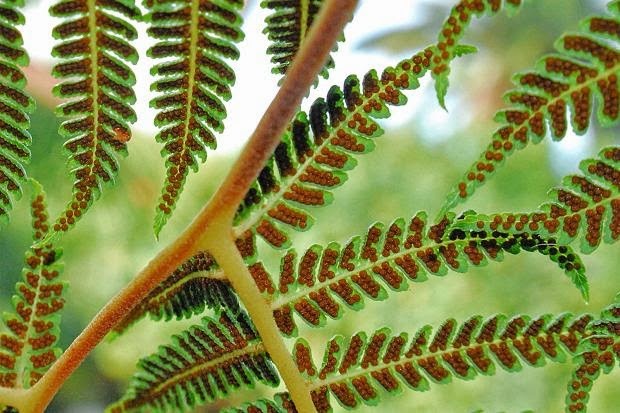 The cost of removal and then shipping to Europe makes the tree ferns an expensive purchase but you can always grow your own tree ferns from spores. The 'Seeds of Eaden' now has tree fern spores available as part of their regular stock range. The spore mixture is sourced from popular Cyathea and Dicksonia species and are all hardy in light to medium frost areas. Each packet contains enough spores for 25 plants. 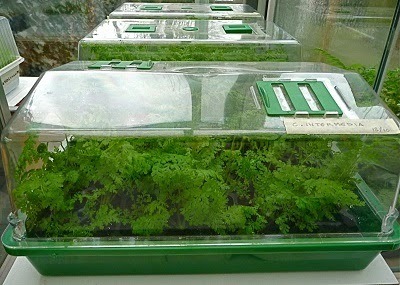 Using modular seed trays containing a good quality soilless seed compost, water first then press the tree fern spores onto the surface. Sow just one spore per module. Do not cover the spores with compost as they require the presence of light to help initiate germination. Place the tray in a heated propagator at an optimum temperature of between 20-25 degrees Celsius. Alternatively seal inside a clear polythene bag. Place in a warm room that receives subdued light until germination. Tree fern spore germination is erratic, especially when you are dealing with multiple species so expect the seedlings to emerge over a period of 10 days and up to a year or more. Once the seedlings have established in their modules, carefully pop them out and transplant them into 3 inch pots containing a free-draining compost. Keep the compost consistently moist but not waterlogged and pot on as required into 5 inch and finally 8 inch pots. WHEN DO TREE FERNS PUT OUT NEW FRONDS? WHY IS MY TREE FERN DEAD? HOW DO YOU STOP A CHRISTMAS TREE FROM GROWING?